Of all of the great reasons to drink exclusively craft beer — from supporting local and/or independent breweries to the fact that some of the beer is just so damn good — perhaps the best reason is the experience. Taprooms are becoming unique experiences of their own. It’s not just the beer that’s the draw. It’s incumbent on the brewery to provide something else, whether it is hiking trails or great views or delicious food. And like any adventure, part of the fun is the trip. We love our neighborhood spots because they’re easy to get to. They’re familiar. We have a favorite seat. But there’s nothing like grabbing a friend, getting a playlist or a podcast dialed in, and hitting the open road. There’s something to be said about a road trip, especially in New England that hits the backroads more than Main Street. So while we have plenty of love for Tree House or Allagash, and the independent breweries in the greater Boston area, they won’t be found here. 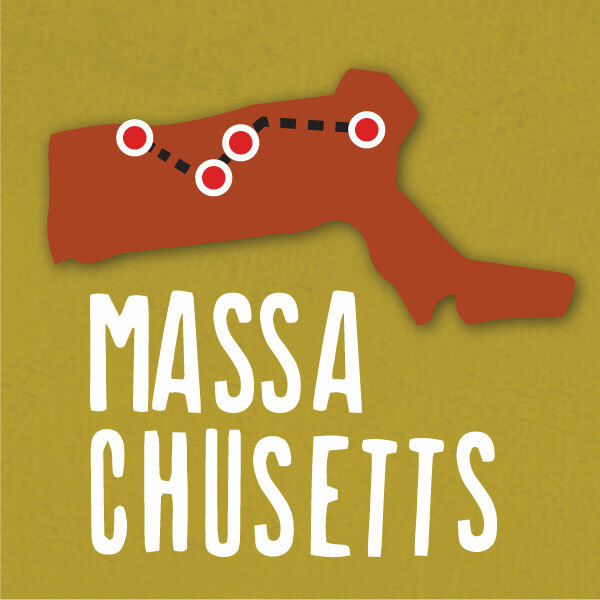 There are established players, but there are also some hidden New England breweries that are only found through the exploration of this historic region. There’s both coastline and winding, foliaged-lined roads. There are tiny, scenic small towns and as much diversity in beer styles as there is in geography. 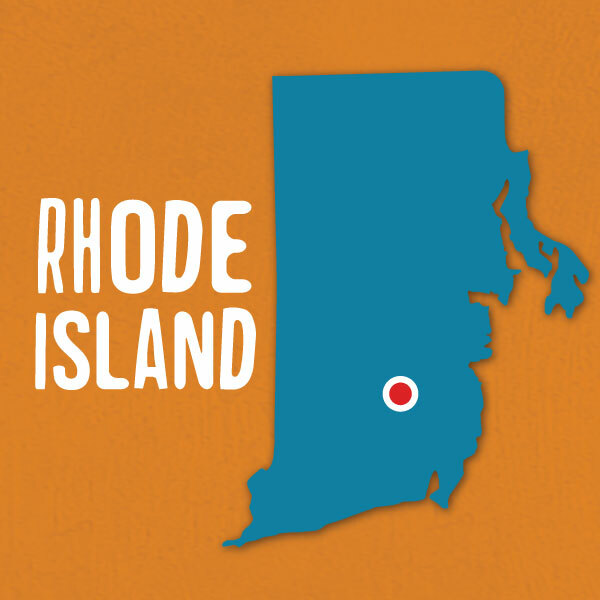 The Ocean State may be the smallest in the country, but Rhode Island has begun to do big things with beer. Tilted Barn in Exeter is as far away from the beach at Rhode Island can get. It’s on 30 acres farmland and, as owner Matt Richardson notes, “a half-mile from any main road, in a century-old barn. It’s hard to picture a better place to enjoy a beer.” Every Saturday, there’s food trucks to help wash down pints of hazy IPA and double IPA. Richardson is most proud of his “less is more” approach, particularly with regard to the brewery’s blonde ale series. It aims to showcase an individual hop each version. A beer called Spruce is one of Tilted Barn’s most popular. It’s perhaps one of the country’s only wheat beer to draw a line. It’s brewed with spruce tips from Christmas trees and brewed only once a year. 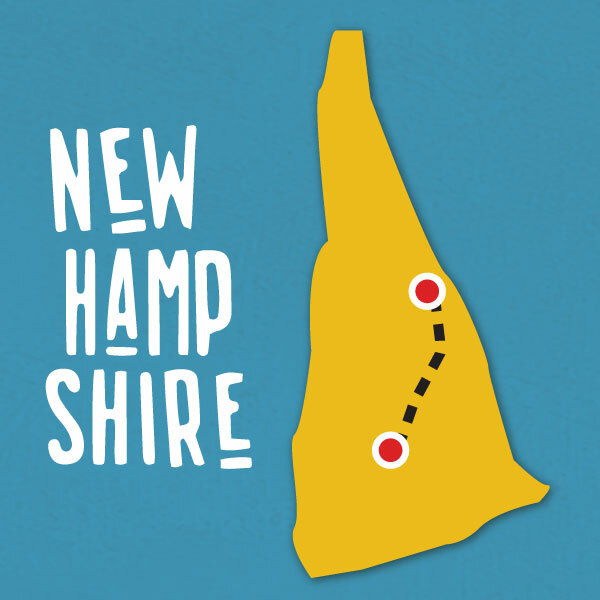 Arguably the prettiest drive through the state is Route 2 through the northern parts of central and western Massachusetts. From Walden Pond in Concord through tiny little hamlets westward, it’s a drive that’s picture-perfect New England. Just off that ampersand-shaped throughway is Honest Weight on Route 2A, a minuscule brewery in an old mill building on the Millers River. Honest Weight specializes in small, low-ABV hoppy beers, and barrel-aged farmhouse ales with Brett. Drinkers won’t find big, bombastic IPAs here. They’ll find a relaxed atmosphere with a local-vibe and delicate, balanced and delicious beers. Travel a bit more west on Route 2A and you’ll come to the tiny village of Turner’s Falls (pop. 4,470), in the town of Montague. 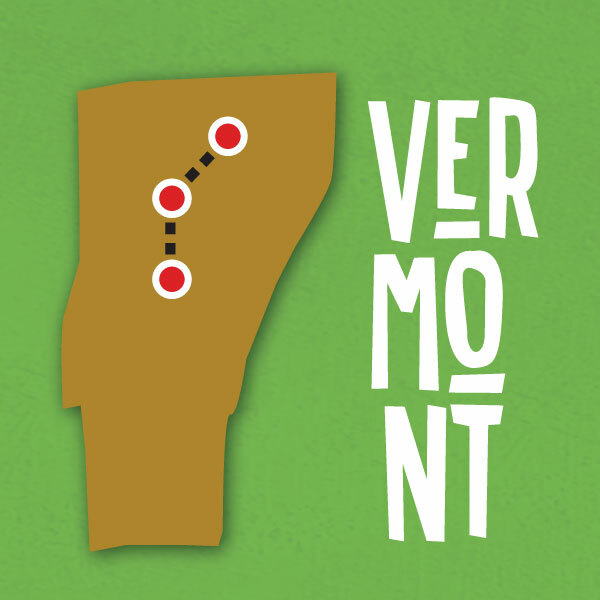 We have a soft spot for small New England villages and this one happens to brew great beer. Brewing on an equally tiny, seven-barrel system, Brick & Feather was born in 2015. The small batch brewery fits the small batch community, and its attention to craftsmanship is evident in every pour. Take the drive to try Letters from Zelda, a ridiculously delicious and delicate-bodied IPA, but don’t sleep on Ode to the Afternoon Crew, a 4.9% cream ale. This place could aptly appear on a “Greetings from New England” postcard. 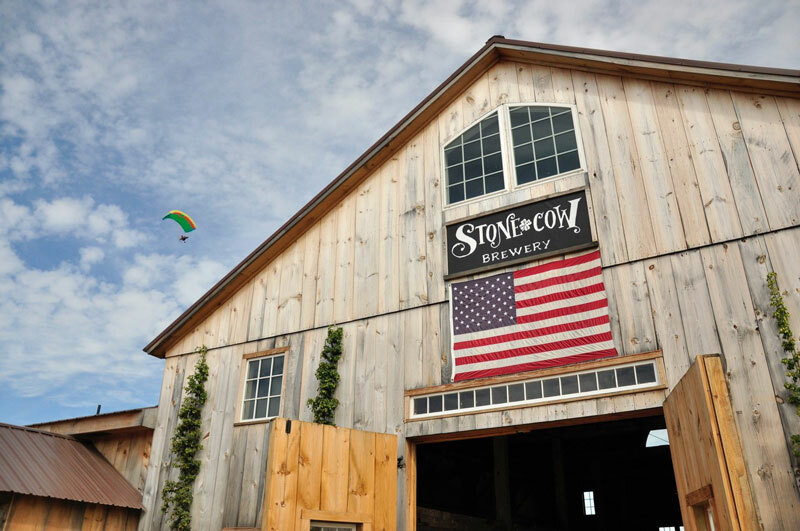 “The brewery saved the farm,” says Sean DuBois of Stone Cow Brewery. Currently in its fifth generation of operation, DuBois says they have no intention of stopping milking cows. The beer is just another option at Stone Cow along with killer food and family-first entertainment. The farm’s flagship, Roll in the Hay IPA, is a throwback to the days of an IPA that can be super citrus and floral in the nose, and have that bitter backbone. The milk stout, another menu mainstay, is soft and pillowy with a ton of roasted malt complexity. The best part? Bring your family. There are acres of land with grazing cows, a playground, and tons of space in the barn to dance along to the tunes of the local musician of the day. I wasn’t planning on including anything on this list that is a city. But if we’re talking about destinations within New England in the fall, you have include the place that might provide the most New England experience of them all. As the city that’s infamous for its 17th century witch trials, Salem is the epicenter of Halloween and the October is cordoned off for festivities. Notch, on the banks of the Salem Harbor, is a biergarten worth visiting. New England brewing OG Chris Lohring and his crew are an American session brewery, and only make beers under 4.5% ABV. There’s zero sacrifice for flavor. This low-key place might be the best brewery in the state, and its taproom is always packed. Get a stein of anything from a hazy IPA to a triple-decocted lager. It does not disappoint. Downtown North Conway is a time machine through New England. There’s a restored railroad station and quaint storefronts, and options to snowshoe or snowmobile through the White Mountains National Forest. After indulging in some New England charm or outdoor activity, saddle up to nearby Moat Mountain Smoke House & Brewing Company. They’ve been canning their beers since before it was cool. And they do a variety of styles from a sweet Czech pilsner to a robust brown ale to, yes, a New England IPA. Don’t shy away from the meat either. The bison nachos are incredible. A half hour north of New Hampshire’s capital, Concord, is the beautiful Lakes Region. The area stuns in the summer with its crystal clear lakes, but astounds in the fall with its rich foliage on the drive north up Route 93. It’s just far enough north, too, that the out-of-state leaf peepers have turned around. Hop off exit 19 to Kettlehead Brewing, a relative newcomer, for both lunch and a couple beers. There’s no specializing here. Kettlehead does everything from lagers to IPAs to sour beers. Sure, there’s the bottling and blending facility down in Portland, but the true American farmhouse experience comes by traversing the pot-holed dirt roads along the Sheepscot River, passed Cowshit Corner to Oxbow’s home in Newcastle, where they’re brewing farmhouse ales in an actual farmhouse. Surrounded by 16 acres of hiking trails, this place feels miles away from civilization and, in some ways, it is. Get warm with a mixed-fermentation saison in the refurbished barn. Or enjoy a Barrel-Aged Farmhouse Pale Ale the way it should be enjoyed: Bundled up in a sweater, in a chair outside in the crisp Maine air. 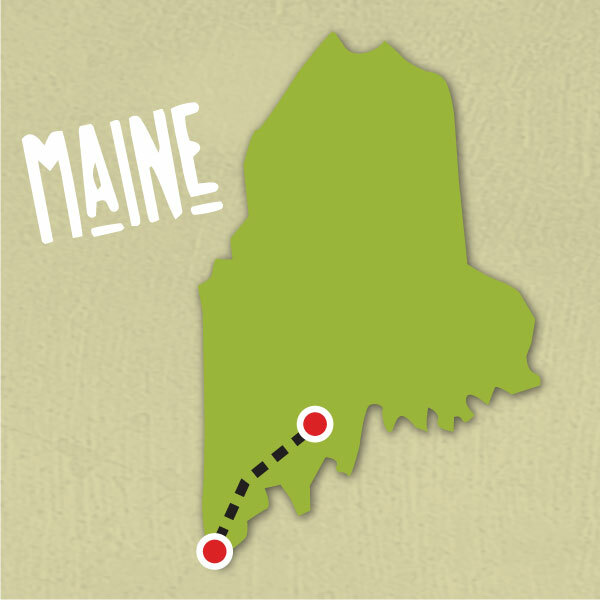 There’s perhaps no better drive in New England than along coastal Maine. Once the tourists return home post-Labor Day, the traffic thins out and views of the Atlantic stretch for miles. Less than a quarter mile from the Piscataqua River is Tributary Brewing, where New England brewing royalty Tod Mott calls home. There’s an anachronistic quality to Tributary’s beer list, on which will you find actual diversity. Stouts, browns, porters, IPA, and kolsch, all done to stylistic perfection. Mott the Lesser is an imperial stout that gained notoriety when it was called Kate the Great. And it’s just as good — if not better — now. Stowe, with its covered bridges and mountain views, is a quintessential New England town. In the winter, tourists come to enjoy the world-class skiing and dine out in quaint, cozy restaurants. A stop in Stowe, at least from a beer lover’s perspective, is incomplete without stopping by The Alchemist’s mammoth facility, which opened in 2016. The makers of Heady Topper, the original beer you-just-have-to-line-up-for, serves samples of whatever is on tap. But they will send you home with cases of beer including an award-winning American stout named Beezlebub or the “Is it better than Heady?” single IPA Focal Banger. It should warrant mention that the drive alone through rural Vermont back roads in the middle of autumn is incentive enough to drive to Hill Farmstead, the beer mecca in the Northeast Kingdom of Vermont. Come for the views, of course, but stay for the beer. While hops are king in New England right now, Shaun Hill’s Farmstead ales are beautifully balanced and as well-crafted as well as any in the world. Try Arthur, Anna, Vera Mae, or … Well, just try them all. For a long time, the only way to get Sean Lawson’s Finest Liquids was to wait outside the handful of country stores in Vermont on a certain day and hope you were lucky. You had no control over what beer came out of the truck and placed onto shelves. 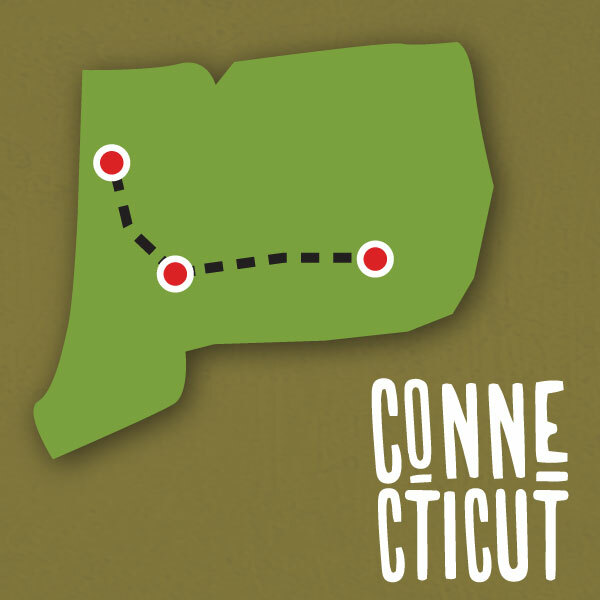 This all changed when Sip of Sunshine and Super Session began getting contract brewed at Two Roads in Connecticut. It expanded Lawson’s accessibility. But our access is suddenly much greater. With the fall 2018 opening of a taproom, Lawson’s is able to entice drinkers with both old favorites and new beers. In a town that houses luxurious second homes of NYC old money and an elite private school, Kent Falls is likely the most prolific brewery on the list. The owners live on the working farm, where hops are grown and where animals roam. In the tasting room, it makes sense to grab one of the juicy IPAs with names like Awkward Hug and Send It! But on a picnic table enjoying the serenity of the farm, grab one of the beautifully crafted farmhouse ales, which are delicate, balanced and refined. Try Senescence, brewed with birch leaves, chardonnay grapes and Kent Farms’ own native yeast. The Ordinem Ecentrici Coctores isn’t an exact Latin translation into “Order of the Eccentric Boilers,” but we’re going to give it a passing grade because its beer is so good. The brewery uses Old World techniques of barrel aging and blending to create one-off blends. The various styles can be tart, funky, downright sour, but all degrees of complexity. Not just sticking to one style, OEC also gets a little wacky with “standard” beers, like a pale ale brewed with wild yeasts and an oak-aged lager. When it comes to message boards volume, you won’t hear much about OEC. But take the trip and you’ll see why those who do know are keeping so quiet. From an aesthetic standpoint, New England in the fall is second to none, with its rich history and natural beauty. It’s only right that the scenery is taken in on the way to some of the best beers in the world. 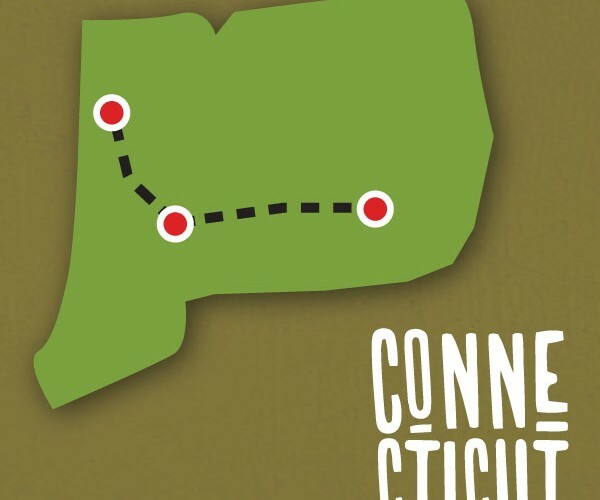 The post Epic Fall Road Trip: New England Breweries Off the Beaten Path appeared first on CraftBeer.com.